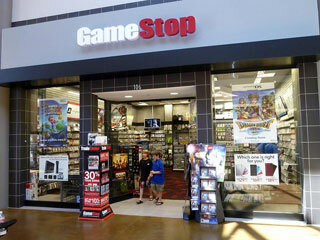 GameStop has informed its employees that the chain will be opening its stores on Thanksgiving Day this year. If you simply couldn't stand not being able to run out for a used game on Thanksgiving Day, GameStop will have you covered in 2017. The company informed employees yesterday on a conference call that it plans to have all its stores open on Thanksgiving Day this year. The news comes via a report on Kotaku, which says it spoke to "two people who were on those calls." While there are no final announcements on just how long stores will be open, sources did say that they were told it would be a shorter day than usual. Back in 2014, GameStop made the decision to close all of its stores on Thanksgiving, a decision that lasted through last year. But this year, amid an industry shifting to digital purchasing, the company has decided to change. Of course, staff aren't going to be happy at this news. With the growing push among customers to keep stores closed on Thanksgiving, it remains to be seen how much, if any, this move will benefit the company. It may add some sales, but the effect of the negative PR must also be considered. GameStop has seen its shares fall of late, with its stock having dropped from around $30 a share early this year to under $22 a share today.